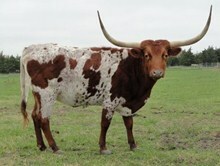 For Sale: Was 104" Total Horn as of January 2013. 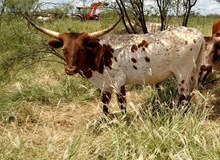 He has been digging hard in our sandy soil. 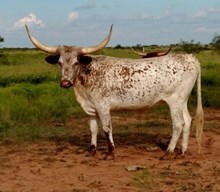 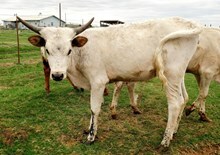 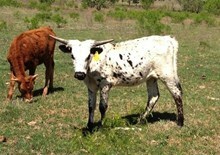 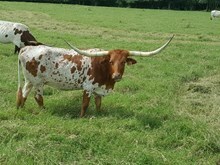 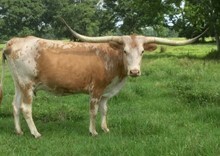 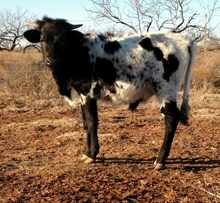 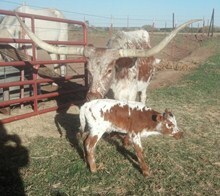 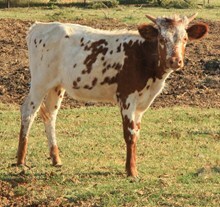 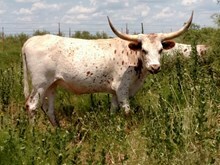 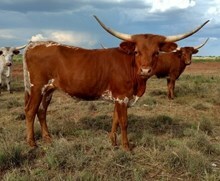 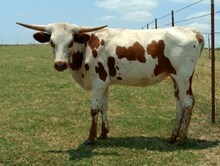 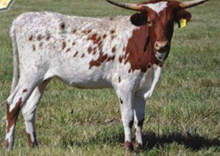 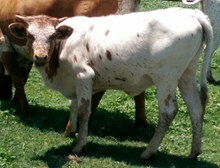 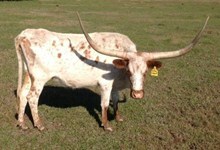 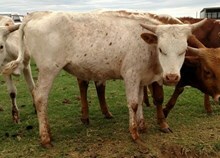 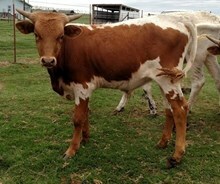 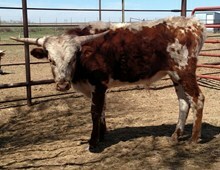 One of top 1% of Registered Longhorn bulls that have both 75"+ t2t and 100"+ total horn. 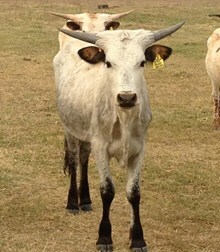 Totem Pole is out of the famous McGill/Wilson breeding program. 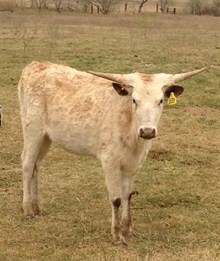 Multiple Bronze winner like his famous sire: "Hunts Command Respect" with dam "HAY HOOK" a producer of multiple Bronze Winners and Hay Hook's Elite daughters are producing Bronze winners in their own right. 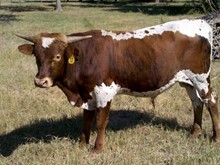 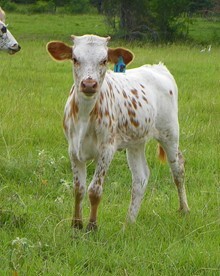 Just think what his offspring could do for your herd. 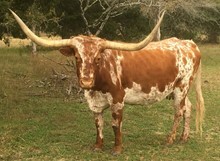 Awesome for outcrossing. 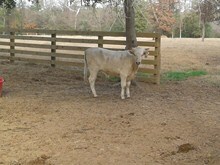 He stays home and is not a problem, loves cubes. 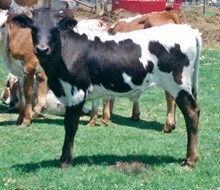 Bred and Branded by Owen McGill himself.